and His creation will itself be enough to count as a positive action. enormously productive and purpose-driven life. Spiritual development: This was the time he dedicated solely to Allah. It was typically the late part of the night when the Prophet would recharge himself spiritually for the next day and boost his resolve to face the challenges in his mission. It was during the night that he engaged in intimate communication with his Lord, the Source of all strength and empowerment, through qiyam (night prayer), dua (supplication) and dhikr. was consistent in making time for family matters. 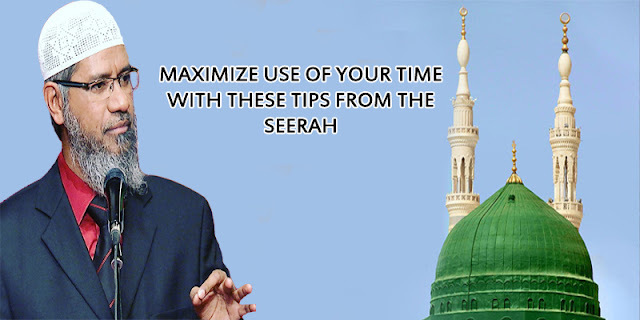 Prophet Muhammad(pbuh) had a sense of urgency in doing good and warned others against procrastination. The life of our Prophet Muhammad(pbuh) was an example to us in every way. This article has looked at just a few of those.